A fire retardant reduces the combustibility of timber and timber related material, making them more difficult to ignite. They also slow the rate at which flames spread and reduce flashover. What is EU Class B and C? In most cases, BS476 (parts 6&7) has now been replaced with the European Test EN13501-1. The UK Building Regulations recognize both, and as a comparison, a product achieving a Class B under EN13501-1 is considered to be the same as a product having Class 0 under the old BS476 system. Products with a Class C classification are considered to have the equivalent of a Class 1 rating. Please note though, that the opposite is not the case. A Class 0 product will not automatically be classed as B under EN13501-1. EN13501-1 adds two additional test criteria; smoke generation and burning droplets. So a product rated B-s1-d0 will have the equivalent to a Class 0 rating, with little or no smoke (s1) and no burning droplets (d0). Class 1 is a classification under test BS476 Pt 7 – Surface spread of Flame. The test measures the distance and time a flame will spread across a surface. Class 1 is the best result from the test. Class 0 is a classification of limited combustibility from The Building Regulations. In order for a system to achieve Class 0 it must meet these requirements from two tests. It also must achieve a certain index on the Fire Propagation test BS476 Pt6. This test measures the amount of heat the surface is giving off during the fire. It must achieve an index figure of less than 6 after 90 seconds and an index figure of less than 12 after the full 20 minute test. Where can you use fire retardant paints and impregnation liquid? ACS S92/FR is a clear or white, waterborne fire retardant coating for protecting timber and timber related products to BS476:Part 6: 1989 and BS476: Part 7: 1987 to UK Building Regulations Class 0&1. The product is non-hygroscopic and is suitable for both interior and exterior application, when used in association with the correct protective lacquer. 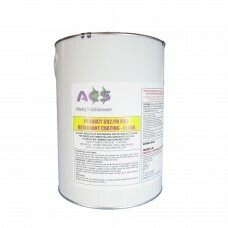 Can be applied to previously painted or stained surfaces when used in conjunction with the ACS Adhesion Primer. The product has also been tested in accordance with EN13501 Parts EN13823: 2002 (SBI) and EN11925-2: 2002: Ignitability Test on both particleboard and MDF, achieving a rating of B/S1/d0. ACS S42 is single-pack, waterborne clear or white fire retardant paint and intumescent coating for application to timber and timber related products. When used correctly the product imparts fire resistance to BS476 Part 20 for 30 and 60 minutes insulation (depending on substrate) and BS476 Parts 6 & 7. To protect timber and timber related products such as hardwoods, softwoods, cladding, boarding and certain plastics. Suitable for providing up to 60 minutes protection when used on certain timber construction. Tested to BS EN13823: 2002 (SBI) and BS EN 11925-2: 2002 Ignitability achieving a classification of B/s1/d0 on both particleboard and MDF. Also tested to EN 1364 – 1: 1999 on 20mm Norway spruce shiplap cladding, achieving 66-minutes resistance. ACS S92/FR/P is a clear or white, primerless waterborne fire retardant coating for protecting interior timber and timber related products to BS476: Part 6: 1989 and BS476: Part 7: 1987 to UK Building Regulations Class 0&1. The product is non-hygroscopic and is suitable for interior application, normally without the use of a protective lacquer. The product has also been tested in accordance with EN13501 Parts EN13823: 2002 (SBI) and EN11925-2: 2002: Ignitability Test on both particleboard and MDF, achieving a rating of B/S1/d0. Used to protect timber and timber related materials such as softwood, hardwood, hardboard, chipboard, plywood, MDF (both fire rated and non-fire rated), bamboo and melamine faced boards. On interior surfaces, not subjected to wear or damage, S92/FR/P can be used without a protective topcoat. The product dries to a satin finish. S92/FR/P is a reasonably robust coating, however all surfaces subject to heavy wear or damage (such as commercial wall panelling and all flooring situations) will require the use of a protective topcoat. 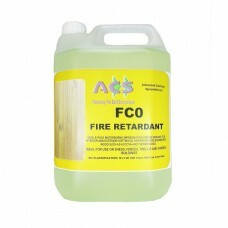 ACS FCO is a new generation, clear, waterborne fire retardant, surface applied impregnation liquid for protecting untreated timber and timber related substrates. Tested in accordance with EN13501 on softwoods, hardwoods, and particleboard achieving a rating of B/S1/d0 (equivalent to Class 0 & 1 to UK Building Regulations). ACS FCO can be easily applied to a wide variety of surfaces including unpainted floors, timber framing, panelling, decking, soffit board, fencing and cladding, both interior and exterior.